Batik lawn is the registered brand of top quality lawn manufacturer “Moon Textile”. Batik lawn is the top quality lawn suit collection that has 80×80 fabric construction. Colors used for prints are permanent and does not fade away with time or loose while washing fabric. If you are looking for a reliable fabric line and good quality lawn then look no further. Batik is introduced every three months with new awesome designs. Batik has launched 15 new designs for September 2017. Batik lawn suit is packed in poly bag. It has total 7.5 meter fabric out of which 2.5 meter is printed lawn shirt, 2.5 meter is dyed lawn trouser and 2.5 meter printed lawn dupatta. You can view our designs at batik lawn homepage. Below are the latest designs. 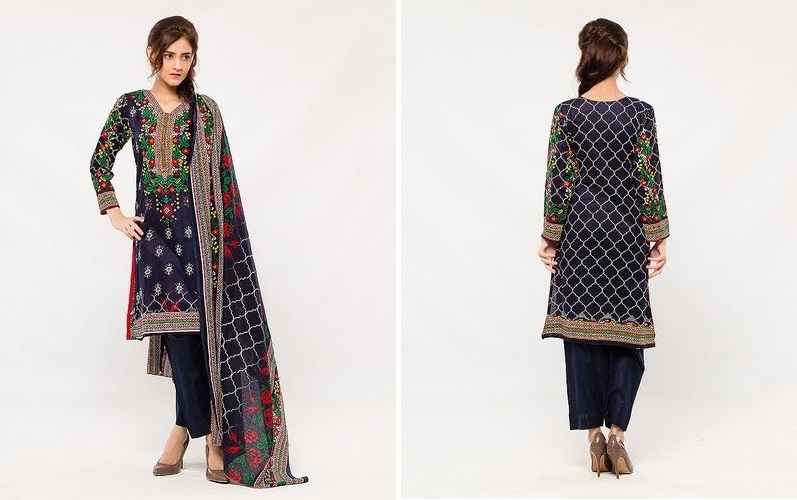 These suits are available on retail for just 1350PKR/Pc for limited time. For more designs and any detail you can visit our Facebook page. These suits are available on retail for 1350PKR/Pc only for orders received by Facebook and Call/Whatsapp +923000332404. We accept returns of damaged and misprint suits. Return is entertained free of cost and accepted only if claim is made in 3 days from receipt of suit. We are manufacturer of lawn fabric and we have many brands other then batik lawn. 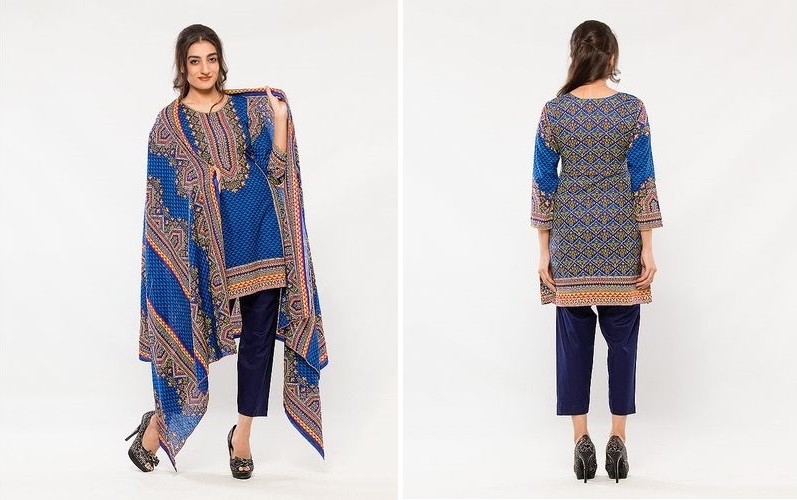 Some famous brands are sohni lawn, berkha lawn, batik embroidered, moon collection and mazaj designer line. We have very attractive prices and small MOQ of 30 suits for wholesale rate. For inquiry contact us at moontextile.1@gmail.com, Facebook and Call/Whatsapp on +92-332-6892363. 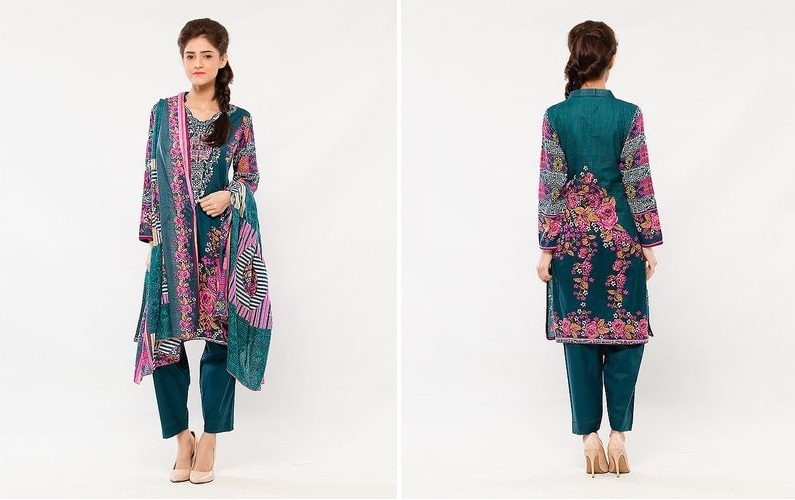 Moon Textile lawn quality is on par with designer lawn and they spin out many new design every season. There are also many bulk purchaser who now develop their own embroidery suits. Surprisingly bulk purchaser who are into development are producing top quality designer lawn suits at very affordable price. One of such developer that I came across is Moon Textile, They are small by efficient. They develop their own collections now. 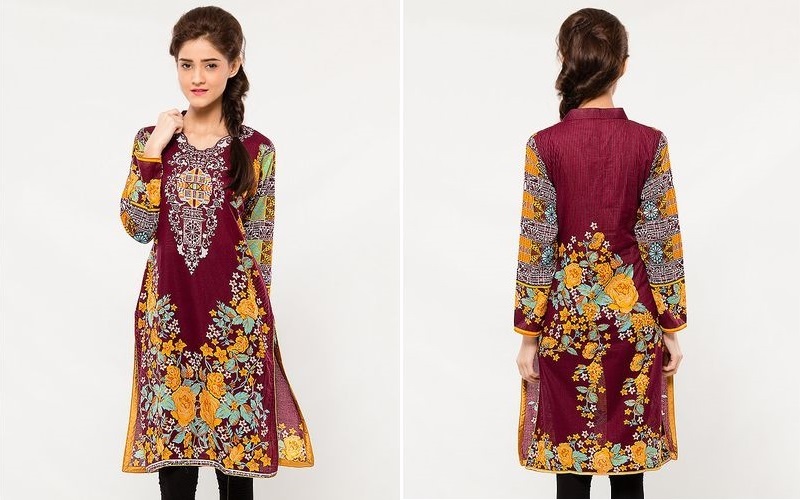 They have two piece and three piece suits available in print and embroidery. Some of their products are shown below. Below are some of the Two piece embroidered lawn suits launched by Moon in late 2017 that is available now on their Facebook page and daraz.pk. This two piece collection has 5 meter of cotton lawn fabric, 2.5 meter for shirt and 2.5 meter for trouser. For more designs visit here. 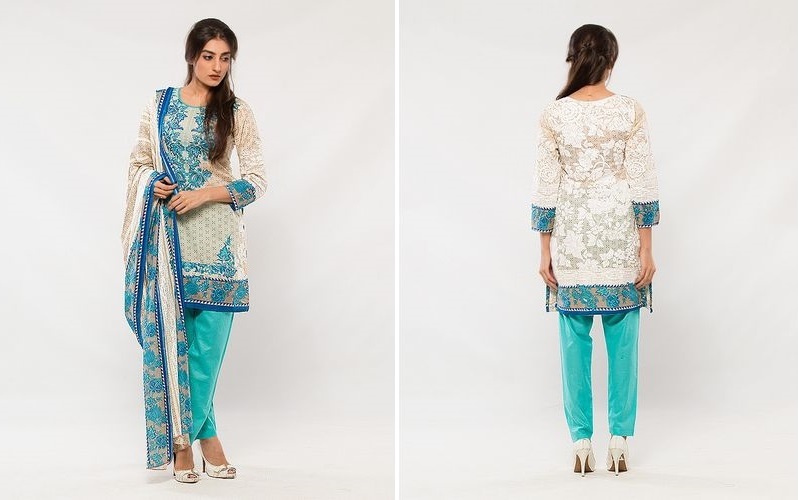 Some of the three piece embroidered lawn suits are displayed below. 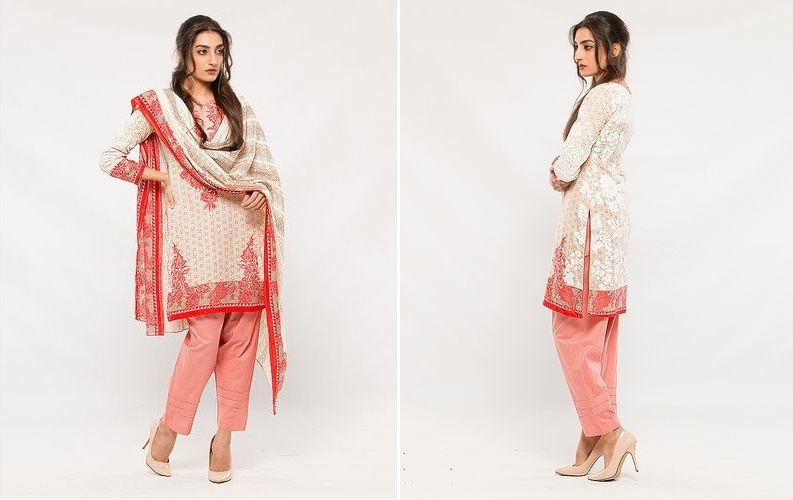 Three piece embroidered collection has total 7.5 meter fabric. 2.5 Meter cotton lawn embroidered for shirt, 2.5 meter dyed cotton lawn for trouser and 2.5 meter chiffon for dupatta. For more designs visit here. These are original top quality lawn suits that are produced by bulk purchasers. The purpose of this article is not to undermine or offend Pakistani Designers they have done tremendously well and made name not only locally but international as well. 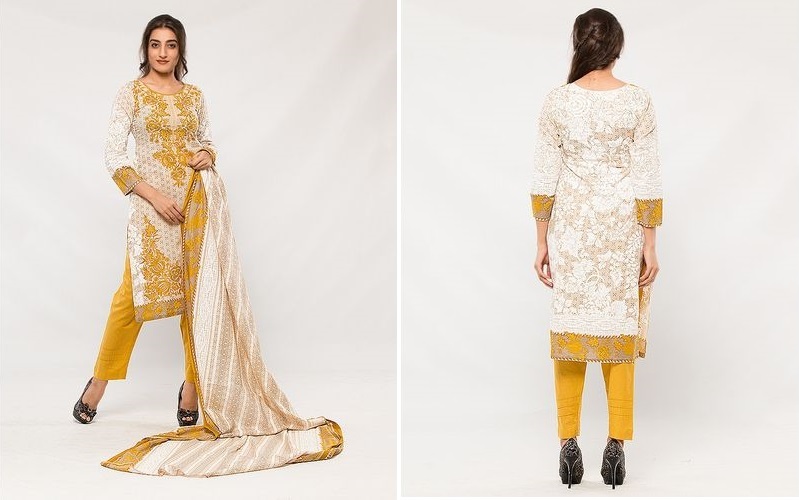 The purpose is to provide an alternative for those who cannot afford pricey designer suits. For details visit links given in the article. For more details you can contact product expert at moontextile.1@gmail.com or call/whatsapp on +923000332404 . You an also visit our website or Facebook page.